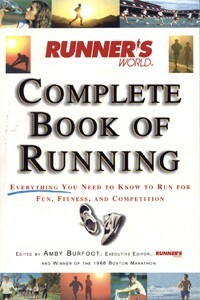 Runner's World Complete Book of Running covers running from every angle imaginable. 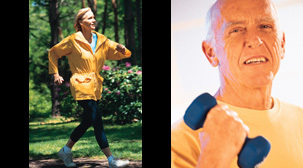 Although this book is targeted to serious runners, even casual runners will find it very useful. This is a multi-authored book, edited by Amby Burfoot. Anyone who has been running for any length of time probably knows that Burfoot is the Executive Editor for Runner's World magazine. He has been a runner ever since high school. In 1968, he won the Boston Marathon. So, his credentials speak for themselves. At least 19 of the 37 chapters were written by other authors. This book is an offshoot of decades of research and writing by Burfoot and others at Runner's World. As mentioned above, it covers running from every possible perspective. Unfortunately, reading it from cover to cover (not in one sitting, mind you) gets very tedious. It just seems too wordy. It should have been limited to 200 pages (or less). Because there are so many authors and so many different topics covered, the book seems to lack a certain level of consistency...despite the efforts of Burfoot to chaparone us through each chapter with his narration. Some chapters offer excellent detailed training information, while other chapters seem to just be perspectives on running, ie, interesting reading, perhaps, but not necessarily all that helpful. The index is strong, but the chapter on sports drinks is no longer applicable. It needs a thorough discussion on the risks of hyponatremia from drinking too much plain water. And, as I type this, there is controversy in the sports medicine world regarding carb-only sports drinks vs. sports drinks that combine carbs with protein. Despite the limitations listed above, and, even though this book was originally published in 1997, it deserves to be on the shelf of every serious runner. Copyright (c)2005 AthleteInMe, LLC. All rights reserved.